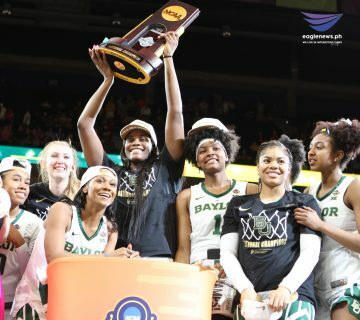 The Baylor Lady Bears pose for a picture after winning the 2019 NCAA Women’s Basketball National Title. By Ken Catli, EBC Florida Bureau, Eagle News Service. 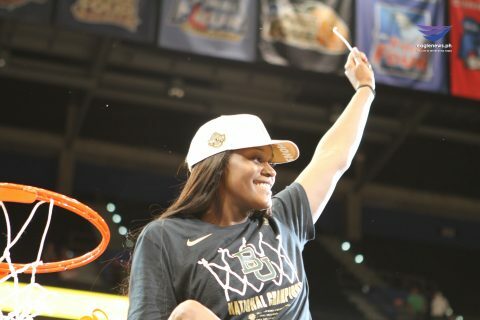 TAMPA, Florida (Eagle News) – The NCAA women’s national title game lived up to expectations. The Lady Bears went full throttle in the first quarter with 12 unanswered fast-break points and three combined blocks by Kalani Brown and Lauren Cox. 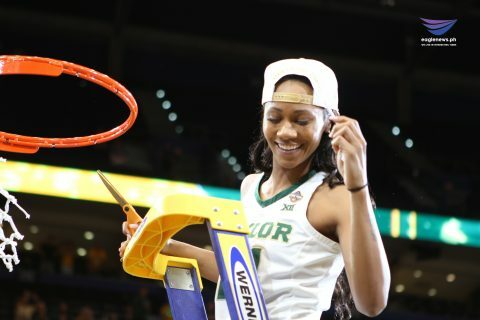 Chloe Jackson went 5-for-5 in field goals and contributed to the team’s 25 points in the first quarter, the third-highest output for a single quarter in an NCAA championship game. In the second quarter, the Lady Bears got into some foul trouble, allowing Notre Dame to catch up on possession time. However, Brown did what was expected and dominated in the post, contributing to the team’s 30 paint points and 21 total rebounds. Baylor ended the first half with a comfortable 12-point lead. When all seemed to be going right for Baylor, Lauren Cox went down with an injury late in the third quarter. “Our motto is ‘Together in Tampa’. We had to stick together. We knew it was going to be tough without her, but we had to do it for her,” said Jackson about the Cox injury. Down by 11 points in the final quarter, the Fighting Irish drew some key fouls and made free throws to close the gap. Notre Dame’s Marina Mabrey pulled up from behind the arc and drained pivotal shots to tie the game at 74 points with five minutes left to go. Arike Ogunbowale drew a foul and made 1 of 2 free throws that gave Notre Dame the lead with under three minutes to go. 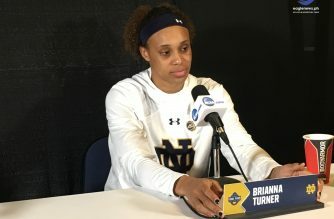 In the final minute of the game, Notre Dame made up for some second-chance points, with Jessica Shepard making one of two free throws to tie the game once again. Jackson pulled up a go-ahead jumper to put Baylor up by two points. Shepard once again made key free-throws for the equalizer with 16 seconds left to go. But Jackson made another go-ahead layup with three seconds left. Ogunbowale had a solid opportunity to tie the game but came up short making only 1 of 2 free throws. 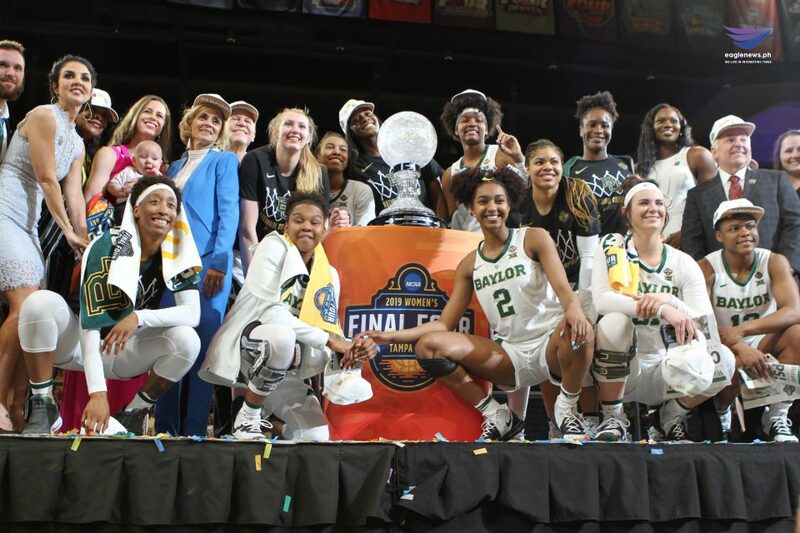 Baylor eventually escaped Notre Dame’s fourth-quarter comeback and clinched the national title with an 82-81 win. 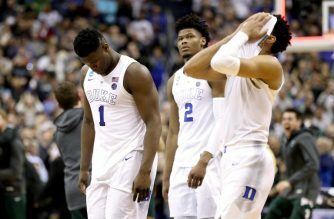 Despite their loss, Notre Dame put up some records. Ogunbowale made 31 points and 6 rebounds, which surpasses her own record for most in a season. She also finished her career with a program record 2,626 points. 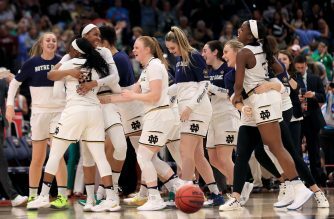 This marked the Notre Dame’s seventh appearance in the NCAA women’s title game. 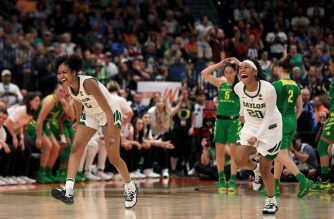 As for Baylor, this championship marked their 50 NCAA tournament win and a 6-1 all-time record in Women’s Final Four games. Jackson was also awarded as the most outstanding player. 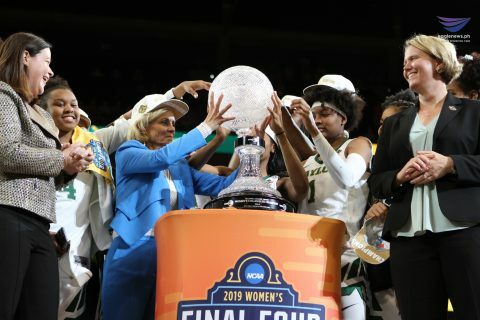 The victory also marks Baylor’s third championship in team history, in which Head Coach Kim Mulkey was part of all of them.